Changing my wiper blades is not something that I think of, especially living in Phoenix. We just don’t get a lot of rain. In our climate, how often should my wiper blades be changed? If you are like most Phoenix drivers, changing your wiper blades is not a priority for you and your car. In fact, you probably don’t even remember that last time your blades were replaced. So, how often should your blades be replaced? In the Arizona it is more about the heat then the storms! Rubber subjected to the Arizona sunshine breaks down more quickly. Most major windshield wiper manufacturers recommend changing wiper blades every 6 months or at a very minimum at least once a year. Both the driver's side and passenger's side windshield wipers should be changed at the same time. Most sport utility vehicles, station wagons and minivans also have a rear windshield wiper. Pay special attention to this blade as well and follow the same guidelines. Now that you know a little more, is it time for you to change your blades? 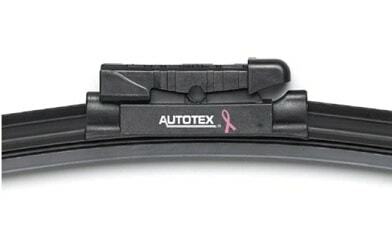 Consider the change to AutoTex Pink Wiper Blades. Whether you choose the traditional black or decide to go PINK, both types of blades display the breast cancer awareness ribbon on them and a portion of the sale goes to two great organizations: the National Breast Cancer Foundation, Inc. and Breast Cancer Society of Canada. AutoTex Pink Wiper Blades are on sale at your Honest-1 Auto Care for a limited time. If you have to change your blades anyway, why not give back at the same time? Wipe out Breast Cancer with Every Swipe”!